If your website has some great looks, and user experience, you will surely see an increase in the number of clicks and responses from customers. To help you with your web design research here is some recent data gathered by HubSpot. After reading through some of these facts and figures you should gain a better understanding of how you can use web design and optimization to better your company's website! Statistics to consider about web design and optimization. Interested in taking your website to the next level? 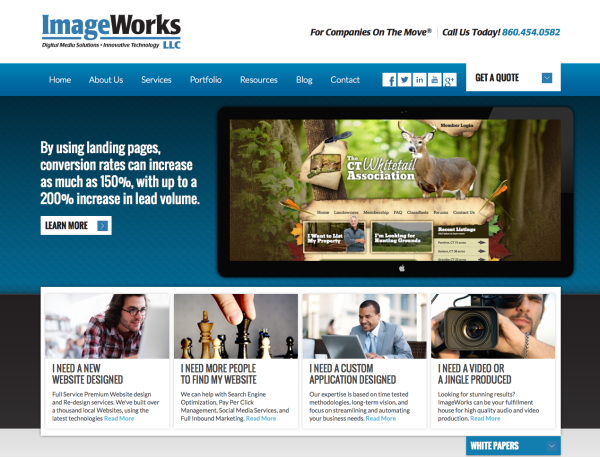 Contact ImageWorks for a FREE website redesign session!